Company President and CEO of OncoSec Immunotherapies, Dan O’Connor, discusses the company’s late-stage studies to treat and potentially cure advanced melanoma and triple negative breast cancers. Their technology turns cold tumors hot which then allows combo therapy to attack and destroy cancer cells from inside the body. Early bench studies show very positive results. Mr. O’Connor is the Chief Executive Officer of OncoSec Medical, Inc., a biopharmaceutical company developing intratumoral cancer immunotherapies. Most recently, he served as President and Chief Executive Officer of Advaxis Immunotherapies, Mr. O’Connor successfully turned around the company, raising more than $250 million in funding and transforming it into a patient-focused, leading cancer immunotherapy company. He was also instrumental in establishing major partnerships with companies that include Amgen Inc., Merck & Co. and Bristol Myers Squibb. In addition, under his leadership, the company advanced four new cancer immunotherapy drug candidates into clinical trials, as well as several PD-1 combination clinical studies with Keytruda® and Opdivo®. Previously, Mr. O’Connor was Senior Vice President for ImClone Systems where he supported the clinical development, launch, and commercialization of ERBITUX®, and the sale of the company to Eli Lilly in 2008. Mr. O’Connor served as General Counsel at PharmaNet (inventive Health) and was part of the senior leadership team that grew the company from a start-up contract research organization into a leader in clinical research. Mr. O’Connor is a 1995 graduate of the Penn State University’s Dickinson School of Law in Carlisle, Pennsylvania and currently serves as an Entrepreneur Trusted Advisor to its Dean. He graduated from the United States Marines Corps Officer Candidate School in 1988 and was commissioned as an officer in the U.S. Marines, attaining the rank of Captain while serving in Saudi Arabia during Operation Desert Shield. Mr. O’Connor is currently the Vice Chairman of BioNJ and was a former New Jersey criminal prosecutor. Neal Howard: Welcome to this Health Supplier Segment here on Health Professional Radio. I’m your host Neal Howard, glad that you could join us. Our guest in studio today is Mr. Dan O’Connor he’s President, Director and Chief Executive Officer at OncoSec Immunotherapies and I’ll let Dan tell us a little bit about himself and OncoSec. Welcome to Health Professional Radio Dan. Dan O’Connor: Good morning Neal and thanks for having me on the show. I hope you’re well today and thanks for the introduction. 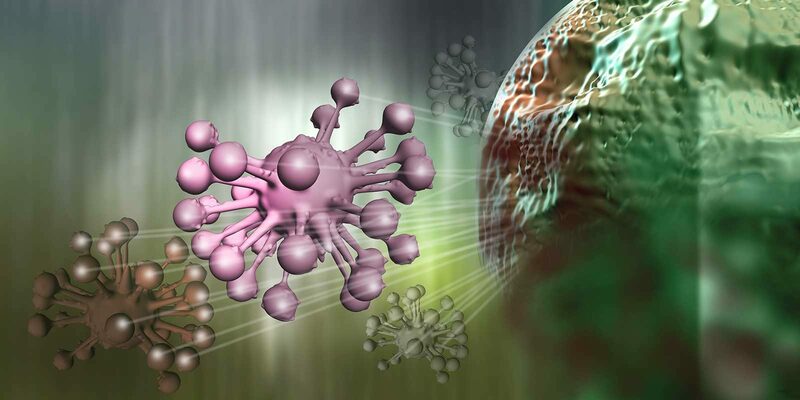 Just in a nutshell, OncoSec is a cancer immunotherapy company which means that we’re developing products to interact with the cancer patient’s immune system so that the immune system itself can fight back the cancer. So it’s kind of trying to re-engage the body’s own natural defense against cancer and that’s what the field of immunotherapy are. Neal: So basically taking a patient’s own immune system and turning it against the cancer, is this something that once that happens, is that perpetual throughout the patient’s life? Or does therapy need to be ongoing in order to maintain that high level of immunity? Dan: Yeah, so that goal is to basically cure the patient. That’s always the goal in treating patients but the immune system is complex and there’s lots of things that are that are going on in the patient to cause that immune system to basically not be fighting back the cancer anymore. So now if you think about it, we’re born with an immune system that fights off all sorts of things including cancer and cell mutations and at enforcing the cancer patients life that sometimes doesn’t work the way it should and our traditional approaches to cancer treatments have been which so many of your listeners are familiar with which is chemotherapy radiation surgery. And within the past, I’d say really in the past decade, maybe decade and a half, cancer immunotherapies have made great strides. And two drugs in particular become on the forefront of cancer immunotherapies – one is developed by BMS and the other is marketed by Merck. Your listeners probably see commercials on TV for both of the drugs, one is called Keytruda and the other is Opdivo and you have you probably seen that too. So they’re proven lots of different solid tumors meaning not liquid tumors or tumors of the blood, instead tumors that form in an organ so those are called solid tumors. And they’re known as kind of a group of drugs called checkpoint inhibitors and right, so our drug that we’re developing works on its own. We’ve shown in clinical trials results that support the efficacy of the drug as well as the safety of the drug. We have to continue those clinical trials to really demonstrate that definitively but we’ve taken an approach of combining our drug with the checkpoint and in particular checkpoint Keytruda. Neal: Well I was wondering what types of cancers is OncoSec, you mentioned cancer, it’s a very large field. Are you specifically doing research in and combining your drug with Merck’s drug for a number of cancers or some specific cancers? Dan: We are Neal. Actually we’ve we’ve tested our drug in multiple different types of solid tumors, those include Merkel cell, subcutaneous t-cell lymphoma, head and neck cancer. But today, we have programs going on in combination with two specific cancers. One is skin cancer which is known as melanoma and the other is a form of breast cancer known as triple negative breast cancer which is unfortunately, a very difficult type or subtype, of cancer of breast cancer to treat. Neal: Is it as difficult as melanoma or is a melanoma kind of the easy end of the spectrum and TNBC the the opposite end? Dan: Yeah, that’s a really great question. So melanoma in terms of being a type of cancer or solid tumor cancer that’s relatively receptive to an immunotherapy so in approaching that particular type of cancer with an immuno-therapeutic approach specifically using the body’s own immune system to attack the cancer has been successful. And both the Merck drug and the BMS drug, Keytruda and Opdivo, are approved in melanoma as well as others that are deemed immunotherapies. And that is because I think the cancer researchers realized that melanoma itself was a relatively immunotherapeutically oriented cancer but that’s not the case with Triple Negative Breast Cancer. One way that cancer researchers describe it is in melanoma the tumors are considered to be relatively cold or excuse me hot, and in Triple Negative Breast Cancer even though they are deemed kind of relatively hot in melanoma, there’s still cancer patients in melanoma that have cold tumors – and I can describe what that means in a second. But within Triple Negative Breast Cancer, the cancer is considered to be not immunogenic and relatively cold. Neal: Explaining a hot and cold cancer cell, I guess cold would be limiting itself not readily to this type of therapy and hot being the opposite? Dan: You said it pretty well Neal. Actually if we would just take a step back, so these two drugs checkpoints Opdivo and Keytruda, they’ve been approved in multiple different types of solid tumors. And it just is a kind of a general rule, they work in about 30 percent of the patients in those particular types of cancers. So for example in melanoma, the checkpoint inhibitors work in about 35 percent of the patients who get it, so Keytruda and Opdivo work in that 35 or so percent of patients that receive the drug. But the other 65 percent don’t get a benefit from the drug and so in cancer research 35 percent response is tremendous, it’s terrific especially when you consider the alternatives, right, so using your body’s own immune system versus something else. But the other part of the group of patients, the majority don’t, and that’s the 65 percent plus or minus and researchers, we all appreciate and embrace this 30% – 35% because that’s a tremendous advancement. Again, if you can 35 percent of the patients getting the use of their own immune response to fight back the cancer, that’s terrific and especially when you consider what the alternatives might be. But 65% not getting a benefit is a challenge and so researchers, clinicians have asked the question,are now asking the question very firmly ‘What is it about that other 65 percent not only melanoma but other tumors where they get the checkpoint but don’t get the benefit?’ And the first question is ‘Why?’ What is it about that group, what can we tell generally speaking? And the answer that’s kind of at the top of the list and I think there’s more than one answer to that question but the one that’s at the top of the list and it’s kind of a generalization is that their tumors are immunologically cold. So the majority of patients have hot – cold receptive tumors that are hot, the minority that at the 35% so they got a drug that works for them, the other majority they get the drug, it doesn’t work. The answer has been is because the tumors are cold. And that’s where our drug comes in, is we believe we’ve got the ability to change that cold tumor into a hot tumor and that you get the checkpoint again after you get our drug and you can get a benefit or get a response. Neal: What about recurrence ? If the tumor, if the cells recur, will they be cold and then have to be turned into hot tumors or will they recur as a hot tumor and lend themselves again to further therapy? Dan: Yeah. So I think generally speaking when a patient has an immunologically cold tumor, it’s pretty unlikely that they’re going to get a benefit from a checkpoint therapy. We did a study on that earlier going back about two years ago where we took patients with cold tumors in melanoma and the premise was that if they got the checkpoint therapy, maybe 5% or maybe 10% somewhere in that range would see a response to the checkpoint on its own. And so we took those patients, those cold tumor patients, gave them our drug we call Tavo which is a cytokine. We basically put a cytokine back into the tumor and around the tumor and the way to think about cytokines is that they signal the body’s immune system. So this particular cytokine is called IL-12 and it’s known as a pro-inflammatory cytokine so it’s signaling the body to inflame and if you could imagine when you’ve got a cold tumor, it’s lacking that inflammation and putting IL-12 back on the scene can help prevent or promote that inflammatory, pro-inflammatory response and then you get the checkpoint. So it’s such that you can get a response to the checkpoint where you might not have had your tumor not have been cold to start and got the checkpoint. So and your point about recurrence is the right one, the cancer treatments and the initial phases are pretty effective. Still, there’s a lot that that is done effectively in what’s called the primary care setting so when you first diagnose and treat the patient. The problem is recurrence and what cancer patients fighting cancer, they’re thinking ‘Just beat it at the moment’ which is absolutely it’s the right way to look at it and everybody knows it’s an awful disease. But after that initial beating, it happens, the next question is hoping that it doesn’t come back and that’s recurrence piece. And so when that happens, that you get into subsequent lines of treatment and there’s drugs that are in those lines, in those settings that have demonstrated, the safety efficacy profile that’s required for their approval. But unfortunately, it happens that a patient goes through all of those available therapies and gets the point where nothing’s really working for them and that’s what we’re trying to treat in melanoma patients had it exhausted everything that’s available to them, giving them our cytokine again IL-12, inflaming that tumor and then give then the checkpoint again, in fact Merck’s checkpoint which is known as Keytruda with the goal and the hope that we can shrink that patient’s tumor. They previously got the checkpoint and it didn’t work for them and so now we’re trying to give them, and they’ve exhausted everything that’s available for themselves or that their clinicians could offer them, we’re trying to get that tumor in that hot zone by giving them IL-12 and then the checkpoint again. Neal: Well in wrapping up, where can we go online and learn some more about OncoSec and about some of these therapies that you’re developing? Dan: Sure so our website is a pretty rich source of information about our technology and that’s oncosec.com, that’s oncosec.com and we have a publication section there that provides links to publications that are relevant to our technology. Neal: Company President and CEO of OncoSec Immunotherapies Mr. Dan O’Connor, thank you so much for joining us on the program today. Dan: Neal, thank you so much for your time and have a great day.